The middle cerebral artery (also known as MCA) is the main blood vessel that brings oxygen and nutrients to important areas of your brain. These areas are primarily the frontal, parietal and temporal lobes. The MCA is a large artery that arises from the internal carotid artery and is the one that is often blocked or damaged if you have a stroke. At the base of the brain, the carotid and vertebrobasilar arteries form a circle of communicating arteries known as the Circle of Willis. The Circle of Willis creates a network of arteries in your brain that allow blood to flow from one side to the other. If there is a blockage in one artery near the Circle of Willis, blood can be diverted around the blockage and continue to nourish the brain. From this circle, other arteries — the anterior cerebral artery (ACA), the middle cerebral artery, the posterior cerebral artery (PCA) — arise and travel to all parts of the brain. The sphenoidal or horizontal segment. This MCA segment perforates parts of the brain with numerous small arteries and irrigates the basal ganglia. The insular segment. This segments bifurcates or trifurcates and terminates in the brain's cortex. The opercular segment. This segment of the MCA also travels through your brain and terminates in the cortex. The terminal or cortical segments. These segments irrigate the cortex with blood. Each individual segment of the MCA travel to various parts of your brain to bring in oxygen to those areas. The middle cerebral artery travels to important structures in your brain, bringing blood and nutrients to these areas. Structures supplied by the MCA include Broca's area, the expressive speech area and Wernicke's area, the receptive speech area. These areas of the brain help you speak properly by helping your form and say words or by helping you put words into comprehensive speech. The motor cortex, which controls movement of the head, neck, trunk and arm; and sensory cortex, which controls sensation from right head, neck, trunk, and arm are also supplied by the middle cerebral artery. 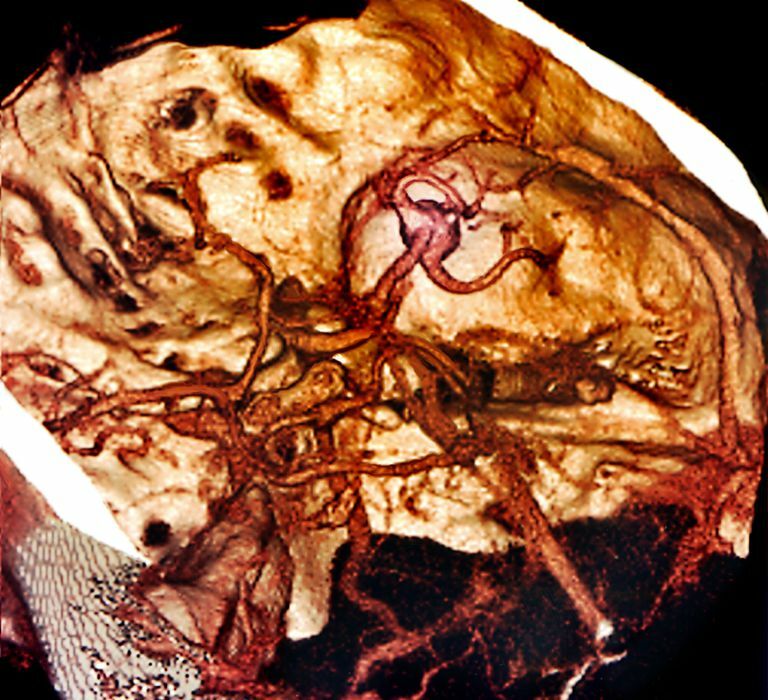 The middle cerebral artery is one of the most widely recognized arteries that is involved in large vessel strokes. A stroke is brain damage that occurs as a result of an interruption in blood supply to a portion of the brain. This happens because of either blockage of a blood vessel or bleeding of a blood vessel in the brain. A stroke is usually labeled either by the injured part of the brain or by the blocked blood vessel. So a middle cerebral artery blockage or bleed might be referred to as an MCA stroke. Because a middle cerebral artery stroke is usually a large stroke, long-term recovery and rehabilitation may take months or even years. However, even very serious strokes can result in good recovery. The best chance of recovery from an MCA stroke (or any stroke) is to get medical attention right away. If you are experiencing any symptoms of sudden onset weakness on one side of the body or facial numbness, see your doctor right away. Each person suffering from a middle cerebral artery stroke has a different recovery time and need for long-term care. Some people will keep improving weeks, months, or years after a stroke in terms of moving, thinking and talking. After a stroke, some people will have trouble finding a word or being able to speak more than one word or phrase at a time. Or, they may not be able to speak at all, which is called aphasia. It can take up to two years to fully recover speech and not everyone will fully recover. The middle cerebral artery is a large artery that travels to various parts of your brain, bringing in blood and nutrients and removing carbon dioxide and waste. Knowing the basic anatomy and function of this important artery can help you understand the functional anatomy of your brain's arterial system.